The Mazda MX-5 30th Anniversary Edition had its world premiere at the 2019 Chicago Auto Show on the 7th of this month. Here are the celebratory model’s images from the show. The Mazda MX-5 30th Anniversary Edition is available in both Convertible and RF body styles. The Mazda MX-5 has turned 30, and through three decades and four generations, it has sold more than 1 million units. The 30th Anniversary Edition of the iconic roadster features a number of exclusives. 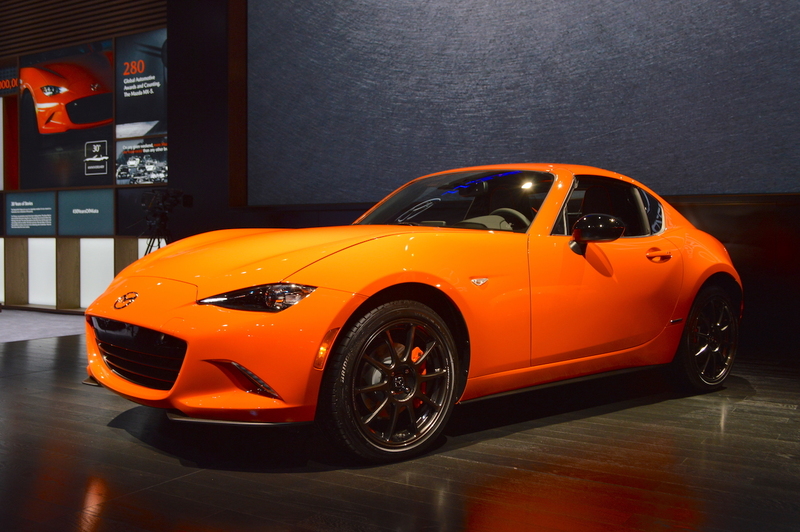 The Mazda MX-5 30th Anniversary Edition is painted in a specially developed Racing Orange paint that is a shade exclusive to it. It sports Rays ZE40 RS30 forged aluminium wheels developed exclusively for the Mazda MX5 as well as Brembo front brake callipers and Nissin rear brake callipers - both in orange. It’s a limited-run model, and the serial number of each unit is displayed with a 30th anniversary badge. 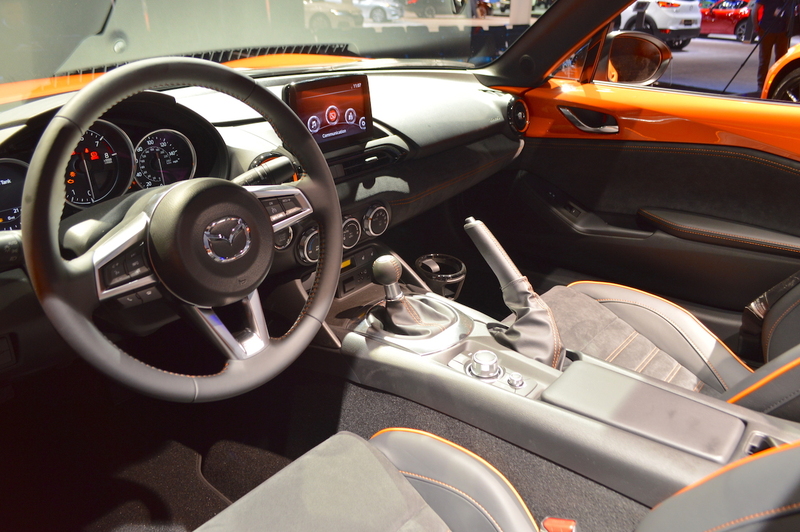 Inside, the MX-5 30th Anniversary Edition has Recaro seats, orange accents on the seats, door trim, dashboard and shift lever to complement the exterior colour scheme, 9-speaker Bose AudioPilot 2 sound system and 7-inch touchscreen infotainment system with Apple CarPlay and Android Auto. Mazda has used Alcantara in the door trim, dashboard trim and seat covers. Under the hood, the Mazda MX-5 30th Anniversary Edition has the familiar SKYACTIV-G 1.5-litre petrol engine or SKYACTIV-G 2.0-litre petrol engine. The 1.5-litre unit develops 132 PS at and 152 Nm of torque. The 2.0-litre unit produces 184 PS and 205 Nm of torque. Both engines are available with a standard 6-speed manual transmission and an optional 6-speed automatic transmission. The manual configurations get Bilstein dampers as well. Mazda will sell only 3,000 units of the MX-5 30th Anniversary Edition globally. Sales of the Mazda MX-5 30th Anniversary Edition are limited to 3,000 units worldwide of which 500 are going to the USA and 600 are reserved for the UK.